Single Tooth Implant in Sydney | Book an Appointment Now! 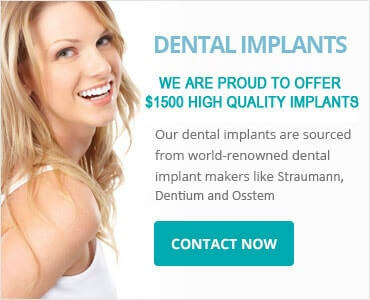 If you are looking for single tooth implant, Tooth Implant Sydney can help you in that as well. A single tooth implant is the best solution to fix a missing or broken tooth permanently. In this process, a titanium implant is inserted in the jawbone to function as the anchor for the replacement tooth. In this process, the tooth is implanted at the same time as the tooth is extracted. It is often advantageous to do immediate placement of tooth implant. The titanium fixture would be allowed to heal under the gum for about three months or longer as the case may be. The healing process would take longer if grafting or tissue reconstruction was necessary. Once it heals, the crown can be fitted. In certain cases, it is possible to fit a replacement tooth to the titanium insert immediately. This loading of the implant is ‘immediate loading’ of the tooth. The tooth replacement process is lengthy one, wherein the tooth is first removed and the socket is cleaned. This is to make sure that the residual socket is free from infection or debris, to enable dental fixture placement. The next step is to assess the bone integrity of the site to ascertain whether the tooth implant can be undertaken at that time either with or without additional tissue augmentation or should the titanium fixture be placed after the socket heals. Bone graft or gum graft may become necessary when there are other factors affecting the outcome of the implant. If the outer aspect of the bone socket is very thin after extraction or if the size of the socket is larger than the size of the titanium insert, it could require bone grafting. The residual gap is filled with bovine bone mineral. It is also used to thicken the bone. Gum graft is necessary in case of thin, transparent or dark gums. A gum graft thickens the tissues and improves the resistance. Whatever be the requirement, they are usually addressed during a single visit. This is important in single tooth implant because these treatments cannot be undone easily. It could necessitate the resurrection of the site to get the best results. Immediate loading is done with the help of a suitable implant if sufficient stability is achieved during surgery. While attaching an immediate tooth, we have to consider the process of osseointegration and the bonding of the titanium insert to the jawbone. It takes around 2 to 3 months for this process. The biting pressure should be ideally low during this period. The porcelain crown is attached to the titanium implant once it bonded with the bone. If you need to replace a single tooth extracted earlier, the same procedure is followed. The dentist would take a call on the risk factors involved and determine whether grafting is required. An immediate crown can be fitted simultaneously with the new dental implant. For more information on single tooth implants as well as to find the best options for a smile makeover, book an appointment with a dentist at Tooth Implant Sydney. Call us on 1300 850 072 or click here to book online.